In an effort to better understand my music collection I make notes on individual tracks in DJ software Serato's comment box. A privilege (or a curse?) of DJing with digital files, I can stay in touch with the margins of my collection and compensate for memory lack. Record store Hardwax historically employs a similar tact: so as to describe each new release and save space on their weekly, printed A4 newsletter, the Berliners developed a concise style of summarising their latest stock. Joy Orbison even named a track of his in honour of the shop's long-standing tradition, entitling a 2012 track 'Big Room Tech House DJ Tool - TIP!'. Problematic in its own right (potentially vague, insufficient and misleading), this method is by no means perfect. A flash-insight as opposed to more traditional promotional spiel, they serve to give an impression, feeling or sense of the music and not a re/over -view. Hardwax continue to use their laconic style of summary, despite no longer being spatially constrained. Leaving notions of habit and identity aside, perhaps it is because although space is no longer precious, time is, and a few words are all a record needs to encourage its listening. In a music world where even the most reliable online sources impart more uninspired/-ing mixes than to the contrary, The Black Dog serve up some excellently selected/mixed definitely-Techno for Little White Earbud's latest here. Enjoy. P.S. Listen out for Markus Sukut's offerings. Session Victim digs a Blues-blushed groove for his contribution to Wolf Music’s latest 12”, sharing the side with Medlar’s succinct Theo Parrish-referencing chugger. The flip sees label newcomer Squarehead and Ishmael – who closed the previous Wolf compliation - serve up hearty doeses of House with a capital ‘H’. Compost Records have dropped another of their solid Black Label releases, this time with contributions from more label newcomers Liquid Phonk and Sello. The previous compilation (CBL #94) saw the label assemble a varied 3 track release with a stand-out effort from Lukas Bohlender: Club Chateau’s delicately crafted melancholia glides soulfully with emotional strings, compelling bass and an end-of-the-line (or night) vibe. Keeping things eclectic, on the latest Compost excursion Liquid Phonk delivers what his pseudonym implies: Heart & Soul is a slice of warm deep house complete with an infectious and uplifting vocal to which the track owes its name. The flip sees Sello work a different mood, eschewing Heart & Soul’s feel-good tack for a cagier, heads-down affair: with Liquid Phonk’s rays of sunshine long gone, Sello’s Everyday broods away in darker climes. Try and buy me here. Illustrious German producer Rene Pawlowitz revisits his Head High moniker for another storming Power House release. Created as an outlet for full-bodied 90’s rave-indebted floor-hammers, the label returns with its 4th release to date. 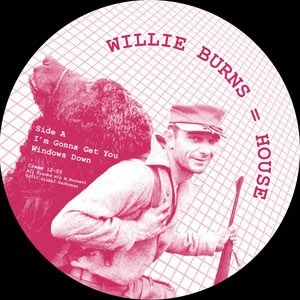 While Burning (Keep Calm Mix) remains understated in spite of its swung keys and thorough kick, Keep on Talking fuses EQD-esque dub techno touches with jacking house. Best things come to those who wait, however, as the EP’s last inclusion couldn’t possibly be sweeter: classic piano stabs rejuvenated with clatters of Tutonic precision set to sear floors this summer.